Balancing a career with home life is one of the biggest challenges facing most workers today. Commutes eat away at precious hours of the day and keeping track of everything that needs to get done after work, let alone doing it, adds even more stress. No wonder that so many find running a home equal to or sometimes even more stressful than their careers. It seems that home is no longer the place we turn to for comfort and an escape form the outside world. A Happy Home study, conducted by Hoppy and YouGov, has found that over 40% of workers feel that running their home is akin to a second job. Below we take a look at the top four home-related worries that are keeping people up at night. Picture this scenario: you’re after a particular spice that’s somewhere in the kitchen but you simply cannot find it, one of your favourite socks has gone on a walkabout, or you’ve lost track of the last time the house got a proper dusting. We’ve all been there one time or another. Constantly living with a high level of mess isn’t healthy and it negatively affects other areas of life. 36% of survey respondents said that an untidy home is the top worry disturbing their beauty sleep but it’s one that’s perhaps the easiest to fix. 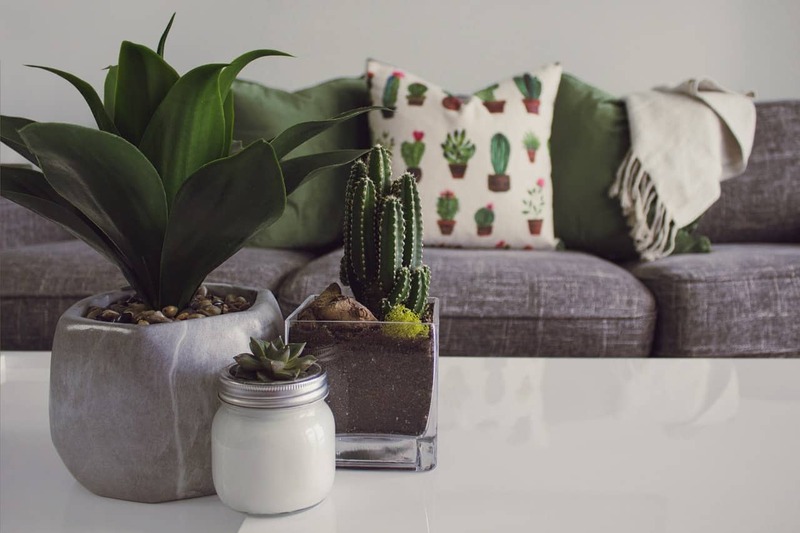 With the new year energy still in the air, now is a good time to sacrifice a weekend and dedicate efforts to organising and tidying the living space; follow the advice of tidying queen Marie Kondo to turn your home into a calming oasis. Bills, unsurprisingly, ranked high on the list of home worries with 22% spending a good chunk of time wondering how to afford them. It’s easy to get complacent with service providers (think: energy, broadband, phone contracts) and it ends up costing money that could be saved instead. Millennials know that switching is the savviest way of getting the best deals, taking advantage of introductory and new customer offers. In fact, millennials are responsible for 33% of all the switches made whilst people aged 65 and over switch just 6% of the time. Some of it comes down to people not understanding what it is they’re paying for; broadband is a good example of this as different speeds are needed depending on how internet is used. Want to learn more? Watch Hoppy’s ‘What broadband speed do I need video?’ and find out whether you’re getting the best bang for your buck. For 22% of survey respondents, lack of storage space was an ever-present worry. With property prices in many parts of the country rising to prohibitive levels, coupled with stagnant wages, means that very few of us can afford to live in homes with adequate space and storage, leading to understandable stress. It’s worth considering whether lack of storage is problem that’s about not having space to put things away or actually having too many things. Our society encourages endless and sometimes needless consumption, leading to every home accumulating mountains of unused things. Have a thorough clear out first and then reassess the situation; bringing in a professional carpenter can also help as they’ll be able to suggest realistic storage solutions for even the smallest of homes. What once looked new and shiny can quickly become in need of an update – 22% agreed in relation to the fixtures and fitting in their homes. Wear and tear are completely normal but updating these things can get expensive so a level of worry about this is natural, though not completely unavoidable. Consider doing an estimate of the total amount it would cost to update all the bits that have seen better days and creating savings goals to help pay for them. Knowing when you’re going to reach the savings goal, and therefore update the fixtures and fittings, will redirect your energy from stressing to excitement about the improved state of your home.